We have all experienced it. That feeling of complete focus, where you are entirely absorbed in a task. You glance at the clock, 1 pm. You look at the clock a moment later, 3 pm. You’re not sure where the past 2 hours have gone, but the amount of work you have completed is impressive. This phenomenon is known as Psychological Flow. Employees who have experienced psychological flow describe feeling completely involved in their work, a sense of ecstasy, greater inner clarity, timelessness, and a thorough focus on the present. Furthermore, after experiencing flow, employees note they have an intrinsic motivation to seek it out again. Engaging a state of flow is motivation to replicate that experience in the future. Put simply, employees who operate in this state are at their happiest at work. Psychological Flow is a mental state in which one’s perceived challenge level matches up with their perceived skill level – with both being perceived as high. Why do you want to improve flow in your workplace? In workplaces that are not conducive to flow, employees report feeling constrained by fixed-hours, a lack of control over their work, and a lack of meaning, and that they don’t make an impact. This typically results in lowered morale, poor time management, and can lead to burnout. Silicon-Valley giants like Microsoft and Apple have already adopted a work model that promotes psychological flow, in order to create more compelling connections with their customers and get the most out of their employees. Ericsson, for example, has applied principles of flow to create performance contracts for its employees and increase meetings between employees and managers. It may seem counter-intuitive that more meetings would lead to greater productivity, however Ericsson saw exactly that happen. 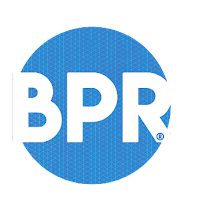 Their employees began to understand their own strengths and weaknesses, were given consistent goals to work towards, and were provided frequent feedback on how they were performing. It is no wonder they also began producing better results. How can you help employees achieve flow? The implementation of management practices that promote psychological flow has been spurred in the last few decades thanks to a wealth of evidence-based research. Recent models of psychological flow highlight 7 main conditions that must be met for an employee to achieve a state of flow. Since there are certain conditions that facilitate and increase the chance of inducing flow, employers can take advantage of tailored interventions to facilitate employees attaining flow states. Building on these preconditions to psychological flow, there are several ways organisations can design practices, policies, and procedures that aid flow. While you can’t (and shouldn’t try to) force flow on others, implementing these seven management practices in your workplace can improve your employees’ chances of achieving psychological flow during their work day. According to lead psychological flow researchers, awareness is a pre-requisite for flow, as knowing the benefits that accompany the state is a step towards achieving it. This could be a one-time seminar, workshop, meeting, or even ongoing quarterly or monthly discussions. Managers at Ericsson set up one-on-one meetings with their employees as many as six times a year. Even just sending this article to colleagues can provide enough awareness to drive individuals towards a flow state. It is important to consider the psychological safety of your employees, ensuring they feel calm and protected during these discussions. If they feel as though their performance is being overly scrutinised or assessed, it is less likely they will be conducive to achieving flow. When people know what they need to do, and how to get there, they are more conducive to psychological flow. Utilising SMART goal setting tools can help provide tangible goals to employees that are easy to measure and reflect upon. By providing goals that are specific, measurable, attainable, relevant, and timely (SMART), employees have the preconditions covered for attaining a state of flow. While it is important to set boundaries about how your organisations goals are achieved, an effective way of driving flow is allowing employees to feel as though they are being challenged, and that they are utilising their skills effectively. Giving your employees freedom does not mean letting them do what they want, but rather showing confidence in their ability to meet goals using their own strengths and methods. Empower staff to decide which projects they believe meet their challenge / skill balance. 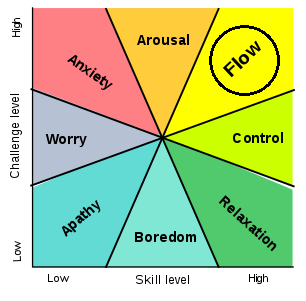 Flow is more likely to occur when performing a task or activity wholeheartedly, or for intrinsic purposes. If your employees treat their work as a chore, they will never achieve a state of flow. Even if you manage to create a pleasant workplace culture, this does not necessarily guarantee flow. Research has shown that performing enjoyable, yet passive activities such as watching TV or staring out the window do not typically induce flow. The individual needs to be doing something active and challenging to enter ‘the zone’. Therefore, it is important to encourage employees to fully utilise their skills while completing their work. By feeling challenged, engaged and stretched to the limits of their abilities, their productivity will increase. In order to be clear about their work, and if they are doing the right thing, you and your managers need to be providing consistent feedback to your employees. This is especially important if providing your employees with extra freedom to work according to their own merits, as feedback allows you to shape their work towards your vision, without taking away the feeling of freedom and confidence. You can try implementing feedback as part of the initial one-on-one meetings and general dialogue around flow in your workplace. When providing feedback, frame it in a positive light. Unless an employee is really struggling or doing something wrong, positive feedback will encourage them to feel more confident in their work. If they are doing something wrong, or out of line with your goals and vision, you may want to gently nudge them towards the right path by encouraging behaviours that do fit your requirements. Listening to what your colleagues have to say in a non-judgmental, “no consequences” environment will allow them to report to you how challenged they feel in their work. In addition, by listening to others, you will have the opportunity to hear directly from them what key aspects may be missing from the flow prerequisites in your organisation. Lastly, and perhaps most importantly, it might be worth sitting down and re-evaluating your team’s vision. If the goals you outline for your employees and your current overarching vision are focused on short-term profits and pleasing the ‘higher-ups’, your employees are not going to be able to relate, and psychological flow will suffer. Take Starbucks as an example. When it first started out, Starbucks’ vision was to provide the highest quality coffee products, while nurturing the customer’s experience of buying and drinking them. However, after huge initial growth, the leaders of the company became obsessed with growth and expansion, sacrificing the overarching vision for short-term profits. Unsurprisingly the quality of their product plummeted, and their share prices and employee retention along with it. When Howard Schultz returned as CEO in 2008, he sat down and re-assessed his company’s vision. He then worked with his management teams to make drastic changes to return to a long-term, customer and employee-oriented vision. A lot of these changes were based on the principles of psychological flow. Some of the changes Schultz pioneered included referring to employees as partners, and the creation of one of the most generous employee benefits programs in the world. Starbuck’s revamp, focused on employee and customer experience, saved it from an impeding economic disaster. These steps are not a one-size fits all solution but can act as a springboard for long-term sustained competitive advantage in your organisation. Prioritising the implementation of flow principles ensures employees can continue to operate at a highly productive and effective level. Perhaps most critically, helping employees achieve a state of psychological flow ensures they are at their happiest at work. Do you believe that you operate in a state of psychological flow at work? Take this quick quiz now to find out. 1. You were able to meet the demands of the task? 2. The task made you happy? 3. You knew what to do at every step of the task? 4. You did not worry about the judgement of others? 5. Time was flying very fast? 6. You didn’t care what others thought of you? 7. What you did was under your control? 8. Time seemed to flow at a different speed? 9. You were excited to tackle the task? If you responded "yes" to 6 or more of these questions, it is likely that you were engaged in a state of psychological flow! Do you believe that your organisation would benefit from employees who can reach psychological flow? If so, please simply contact Psych Press now to learn more about our services and how we can help you across the talent life-cycle. More than two thirds of major change programs fail. Despite this, it is vital for businesses to change and adapt to be successful. Rapid developments in technology are bringing equally rapid change to the organisational landscape. Effective change management is critical in successful businesses, resulting in meeting or exceeding objectives, remaining within scope and completing projects on or ahead of schedule. Unfortunately, far too often change is thought to be a static process. Without an effective change process, 70% of change interventions fail (Keller & Aiken, 2008). It is not enough to simply install a change intervention, it must be implemented. Consider the installation of a new customer relationship management (CRM) application. If one morning employees fired up their computers and found a new system was available, how likely would they be to use it instead of defaulting to their existing systems and processes? Proper implementation demands a much longer commitment. It requires an alignment of business processes and communication about new ways of working. Constant change comprises consistent upskilling for employees, to ensure technology and practices are utilised effectively. This change highlights the importance for employees to adjust to the digital age of ‘agile’ practices and globalisation. HR managers are now required more than ever to leverage change management tools to assist in meeting market demands. Prosci's ADKAR, (see diagram below) developed by Jeff Hiatt, is a popular model for organisational change. If you have ever watched someone make a change successfully in their life or at their job, you have seen ADKAR in action. Think about the first thing someone needs to make a change: an understanding of why the change is needed in the first place. This is where the ADKAR model can facilitate change in employees and help them adapt. Awareness refers to an employee’s understanding of the nature of change. This might include why change is needed, the risk of not changing, the drivers of change and the value to employees. The number one reason for organisational change resistance is a lack of awareness about why the change was being made (Washington, 2005). Informing employees early about what and why change is occurring is crucial. What would a change manager do at this stage? Inform employees about why change is occurring, as well as the risks of not changing. This information should come from an organisational leader or credible source. Employees need to be informed of the burning platform that is creating an onus for change. Take our example of new CRM software. The benefits of effective implementation are likely to save the organisation money, as productivity increases, relationships are strengthened, and the integrated system reduces the likelihood of errors. Inversely, a failure to change is likely to push the organisation out of its present market share, as global competitors outperform in their capacity to reach (poach) potential customers. Desire refers to the willingness of employees to support and engage in change. This can be more challenging to facilitate, because sustained desire is typically intrinsically motivated. Do not assume that building awareness will create desire for change. Desire is influenced by the nature of change, an individual’s personal situation, their perception of the organisation and their own internal drivers. Change managers have a wealth of techniques to convince staff to change their behaviour, including creating a sense of urgency, outlining the ways change will benefit individuals and providing evidence of failures due to a lack of change. Those involved in previous projects can understand the frustration associated with discarding a large portion of work due to shifting demands. Thinking back to our CRM, demonstrating to employees how this new software will save them time is an easy way to build desire. Ensure all relevant training and information is formally provided to employees to enable the change. Instructions should be straightforward, clear and readily accessible. For a CRM, workshops may be useful, but the digital age has provided opportunities for L&D teams to leverage online training at a more micro level. Google provides troubleshooting at a moments notice, so training can be more focused on the big picture. Let employees explore best-practices collaboratively to further customise the system to their needs. Ability requires putting knowledge in to action and executing the required change. It is not enough to tell employees how to change; they must be able to do it to a sufficient standard. Once change has been actioned, it is critical to sustain the change. This can be achieved through both internal and external motivators. External motivators include recognition, rewards, and celebrations of shared success. Internal motivators are intrinsic, and can be satisfied through achieving goals, working with others effectively, and taking ownership over work (Deci & Ryan, 2000). Check in with employees at regular intervals to see if change has been maintained. If employees have done this effectively, recognise the strides they have taken to bring about and sustain a successful change. For a CRM, it would be vital to check that employees are embracing the new ways of working. A few stray employees who stick to prior procedures can undo all the hard work invested into change. If capabilities have diminished over time, it may be necessary to revisit some stages of the ADKAR model. Given that more than two thirds of major change programs fail, consider ADKAR as a guiding principal the next time you lead your organisation through change. Enabling effective change is made significantly easier when your employees are receptive. 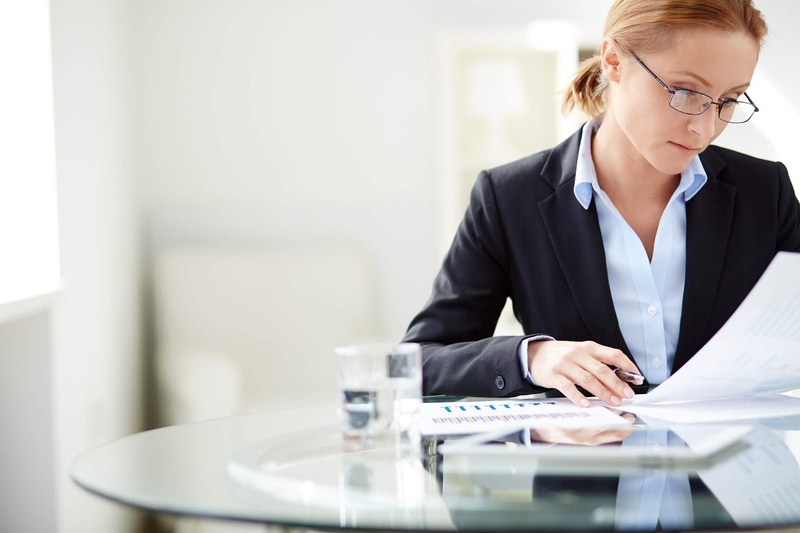 Psychometric assessments like the BusinessPersonality Reflections® can greatly assist in implementing change that sticks. Containing 73 personality scales that can be provided bespoke to your selection or development needs, the Openness to Change scale can quickly measure which of your employees are most likely to excel in the constantly shifting digital age. Openness to change measures an individual’s ability to adapt to varying situations, and their capacity to adopt new and different ways to manage tasks or solve problems. That is, an individuals’ willingness to accept new ideas or procedures as opposed to those which are familiar. The Openness to Change scale identifies individuals’ ability to be flexible in their thinking and solve problems effectively. Due to the ever-changing and increasingly innovative workplace, an employees’ ability to adapt and change where necessary is vital to an organisation’s long-term prosperity. “I enjoy pushing traditional boundaries”. Openness to Change has been shown to improve a range of positive workplace outcomes. Wanberg and Banas (2000) conducted a longitudinal study examining employee openness to organisational change, finding job satisfaction was positively associated with openness to change. Meta-analyses conducted by Marinova et al. (2015) identified job characteristics such as complexity, autonomy and task significance were predictive of change-orientated behaviour in the workplace, which in turn produced better workplace engagement. Further, Chawla and Kelloway (2004) found staff retention was similarly positively associated. Seppala and colleagues (2011) also found employees high in openness to change had higher levels of organisational citizenship behaviour, a construct defined by an employee commitment to their organisation beyond their contractual tasks. That is to say, a propensity to change acceptance is seen more in individuals who want to go ‘above and beyond’ for their organisations. Individuals who score highly on the Openness to Change scale tend to think critically, drive innovation, and at times question, challenge, or offer improvements to established procedures. Also, highly scoring individuals are more likely to experiment and develop novel methods of processes, policies and procedures. · Challenge convention and improve the status-quo. Get started with the Business Personality Reflections® today by enquiring now, or learn more about our services. Employers have long touted the mantra that an organisation’s strongest asset is its people. 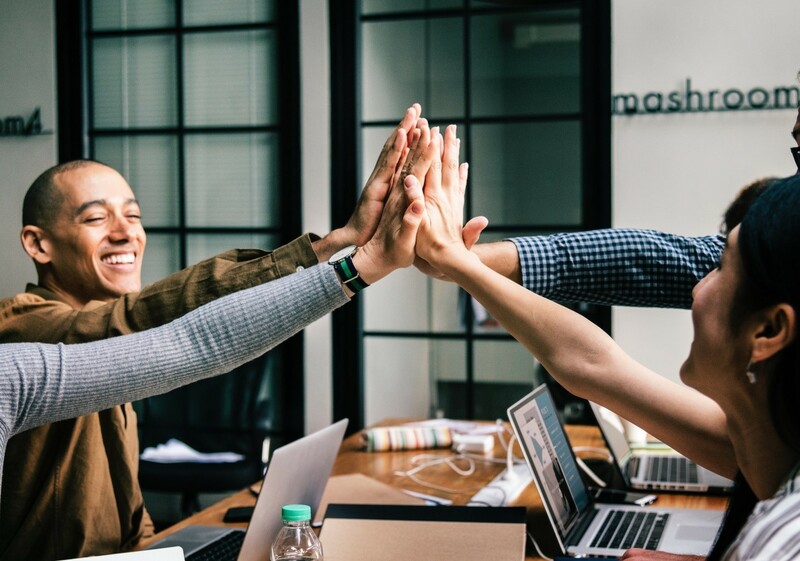 While this credo has spawned a rash of management practices designed to develop human capital, only recently has the focus been drawn to employee happiness. A consequence of data insights and wider organisational psychological research, a growing number of organisations are now recognising the value of employee well-being, with good reason. The recent evidence indicates that subjective well-being has a major impact on a wide range of work outcomes. Happier people are more productive, innovative, and have higher occupational success when compared to those who do not (Watanabe et al., 2018; Thompson & Gregory, 2012). Paired with an increasing need to compete against organisations for talent, globalism, and the advent of the gig economy, this has prompted an explosion of exploration within the science and practice of positive psychology, or the scientific study of optimal human functioning. This form of psychology endeavours to identify and promote factors that allow people to flourish (Gable & Haidt, 2005). The overarching goal of positive psychology is to focus on what is good and try and improve that where possible. Martin Seligman, who founded the discipline, recognised that psychology had up to the turn of the century focused too much on the negative. A greater emphasis had to be made to improve the quality of life and prevent pathologies that arise when life is barren and meaningless (Hackett, 2017). The foundation of why organisations should prioritise positive psychological principles lies in its efficacy. To what extent can positive psychology impact well-being? There is now a sizable literature that indicates the impact of individual differences (i.e. personality) and contextual factors (e.g. wealth, health, circumstances) on well-being is indirect and integrative. Rather, we are often most thoroughly influenced by our cognitive appraisals of objective life events. It is our perceptions and evaluations of our surroundings that form the crux of our well-being. This subjective well-being, or happiness, involves both past experiences and future expectations. Consequently, the key to well-being is interpreting the world in a positive manner. Employees need to fortify themselves to think positively, rather than negatively. Sonja Lyubomisrksy and colleagues (2005) posited the concept of the ‘happiness pie’, which outlines the extent to which individuals can influence happiness. Their research discovered that around 50% of the differences in people’s happiness is heritable (determined genetically). A further 10% is attributable to a person’s circumstances. Whether you are healthy or ill, married or divorced, rich or broke, in crisis or not, these external and situational factors will impact happiness. This is however, a far lower proportion of the happiness than many would suspect. This leaves 40% of the variance in happiness that is influenced by intentional activities. The positivity levels of one’s predispositions, appraisals, memories, goals, and motivations are instrumental in magnifying the impact of positive events. Such positivity also buffers the effects of negative events. We often cannot make significant changes to our personalities or our circumstances, but we can change the way we perceive the world around ourselves. Understanding that 40% of happiness is born of the subjective experience demonstrates that through positive psychology, organisations can make a massive impact on their people. By utilising the insights and strategies of positive psychological methodology organisations can deliver holistic, robust, and relatively simple well-being interventions. Introduced by Martin Seligman in 2011, the PERMA model is an intervention approach that outlines the keys to leading a fulfilling life. The PERMA model suggests there are five elements people pursue independently to improve well-being: Positive Emotions (P), Engagement (E), Relationships (R), Meaning (M) and Achievement (A). Through the lens of the PERMA model, a series of organisational interventions can be designed and implemented. Goodman and colleagues (2018) compared PERMA and subjective well-being and identified a latent correlation of 0.98. This indicates that beyond PERMA effectively tapping the construct, this approach when taken to improving workplace well-being should have a positive impact for employees. At the organisation level, policies and practices can fundamentally change culture for the better. Leaders who drive the PERMA model through the policies they set, and actions they take, are far more likely to see sustained success. Beyond this, individuals also can improve their well-being through their own goal setting practices. To demonstrate this point, the following table outlines examples of how individuals and organisations can use the PERMA model in practice to improve subjective well-being. · Make role clarity a focus. Encourage employees to discuss their organisational impact. · Frequently reflect upon the question: "what value does my role provide the organisation?" Positive psychological interventions are now becoming standardised more and more within organisations, however there is still work to be done. Hopefully, given the organisational and individual impacts, businesses come to grips with well-being in the same manner they have with engagement in the past decade. The future of positive psychology is going to have to accelerate to meet the demands of the modern workforce. As the world of work is becoming global, virtual and particularly driven by a gig-economy, the onus of well-being is shifting further towards employees. Workers must be able to look after themselves more now than ever before. This trend is likely to continue for the foreseeable future, so the creation of resources that allow employees to drive their own well-being must meet demands. Critical to the creation and maintenance of a positive and happy workforce is appropriate measurement systems. Personality questionnaires can assist in the selection and development of employees that possess a Positive Thinking mindset. Positive thinking describes an optimistic attitude that focuses on the bright side of life. Optimistic individuals have faith that their abilities and actions can cause significant positive impact on their future (Kluemper, Little & DeGroot, 2009). Positive thinking scales measures the degree of positive mood and feelings across the range of happiness, enthusiasm, optimism and joy. “I feel lots of happiness in my life”. Positive thinking plays an important role in generating positive mood. Research has found that emotions and mood are correlated to success in occupational settings, people who are happy are more creative, see opportunities and tend to be more comfortable in taking strategic risks (Fredrickson, 2001; Lyubomirsky, King, & Diener, 2005). Cable (2017) also suggested that positive emotions help with decision-making and problem solving. In addition, research has also found that optimism correlates to happiness and that it promotes positive feelings during stressful events (Lyubomirsky, King, & Diener, 2005). Thus, it is shown that positive thinking leads to better stress coping in individuals. Organisations need employees who think positively in the workplace to help maximise productivity. We hope that the Positive Thinking scale can provide useful information, amongst other relevant scales about potential candidate performance within your work context or environment. If you were interested in learning more about the Positive Thinking scale, or the Business Personality Reflections® Personality Menu-Driven System please simply enquire now for a free trial.